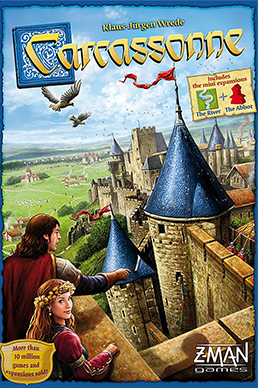 During a game of Carcassonne, players are faced with decisions like: “Is it really worth putting my last meeple there?” or “Should I use this tile to expand my city, or should I place it near my opponent instead, giving him a hard time to complete his project and score points?” Since players place only one tile and have the option to place one meeple on it, turns proceed quickly even if it is a game full of options and possibilities. 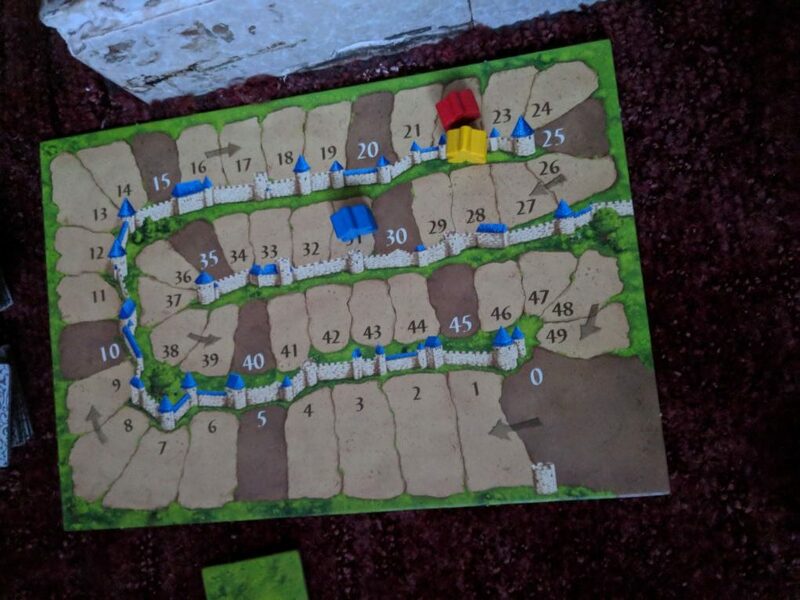 Carcassonne has beautiful artwork which makes playing a great experience, and the meeples are crafted really nicely. Gameplay is very similar to a game of dominos in that you can only place your tile on to a previously placed tile that corresponds with yours paths must line up with paths, towns with towns etc. Having played the game 5 or 6 times it is obvious that whilst there is some element of luck involved, it is a lot more about strategy and skill. 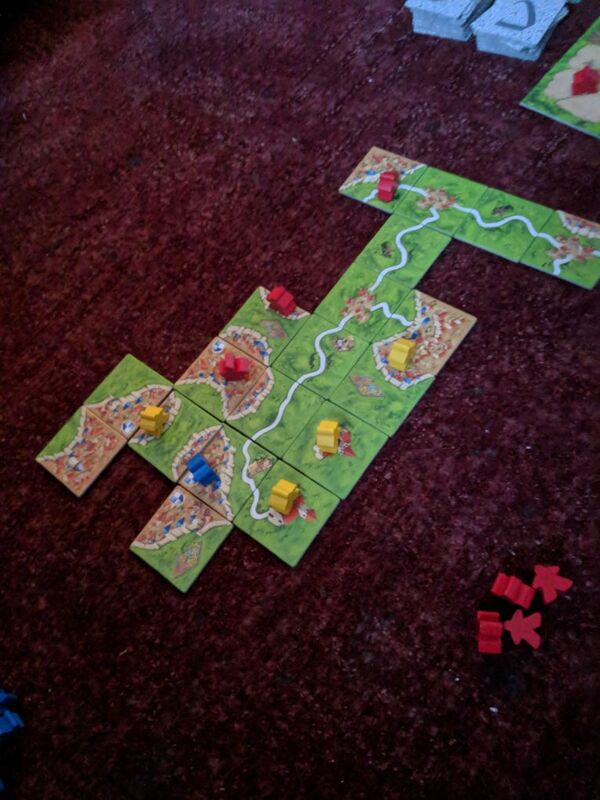 We have really enjoyed playing Carcassonne and have even introduced friends and family to the game. This entry was posted in Board Games, Me, More, Review.